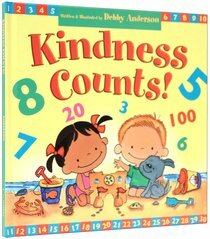 Debby Anderson is a kindergarten teacher and mother of four has written and illustrated more than 20 books for children, including the Cuddle and Sing series. She lives with her husband and children, ranging in age from one to twelve, in Mesquite, Texas, where she and her husband are involved in a variety of church and cross-cultural ministries (American Missionary Fellowship). Debby enjoys opportunities to share God's love with children from all different backgrounds and cultures.Some of her published works include Let's Talk About Heaven; Do Bugs Have Noses? ; Jesus is With Me; Jesus Loves Me; Jesus Loves the Little Children; God Knows My Name; I Can Talk with God; I Love My Bible! ; Jesus Is Coming Back! and Kindness Counts!